All systems go for ANC Lekgotla to implement election manifesto - SABC News - Breaking news, special reports, world, business, sport coverage of all South African current events. Africa's news leader. The outcomes of the NEC and the Lekgotla will feed into the president's State of the Nation Address scheduled for the 7th of next month. The African National Congress is holding its National Executive Committee meeting in Irene, outside Pretoria. The meeting will be followed by the ANC Lekgotla which is the first after the party’s 54th national congress. 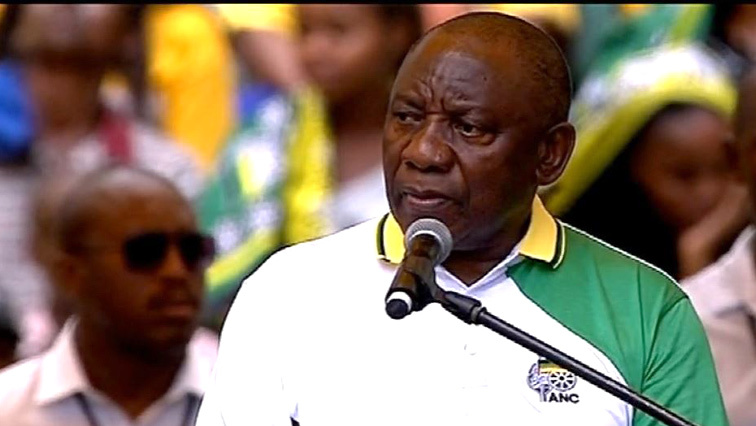 Both meetings are expected to come up with a plan of action to put in practice the commitments made in the January 8 Statement and the party’s 2019 election manifesto launched in Durban the past weekend. The ANC Lekgotla is an annual gathering of the governing party held twice in a year, with the second one normally taking place in July. It meets to identify urgent priorities requiring attention and it helps to guide the work of ANC officials deployed in government in the year ahead. Both the ANC NEC meeting and the Lekgotla come just days after president Cyril Ramaphosa‘s presentation of the annual January 8 Statement which coincided with the launch of the party’s election manifesto where he made a number of commitments from the revival of the economy and the creation of jobs. “Our manifesto is a coherent as well as a bold plan for a better life for all addressing the persistent realities of unemployment, inequality as well as poverty. Our manifesto is about transforming the economy so that it serves the people of South Africa” says Ramaphosa. Acting ANC Spokesperson Zizi Kodwa says among others the purpose of these meeting is to discuss ways to fully implement and their election manifesto. The last ANC Lekgotla in July 2018 focused mainly on the capacity of the state, economic transformation, ending corruption and education among others. “On state craft and transformation Lekgotla accepted that the challenges in the state identified by different studies are not insurmountable and they require the following broad interventions; they need to strengthen the capacity of local government, both technically and politically, so we can improve service delivery,” says ANC General Ace Magashule. The weekend gathering will be attended by ANC deployees in government, including ministers and their deputies, directors-generals and mayors among others. The outcomes of the NEC and the Lekgotla will feed into the president’s State of the Nation Address scheduled for the 7th of next month. Meanwhile the ANC says it will not account for party members who acted in wrongdoing or corruption in their personal capacities. The party was responding to allegations contained in the testimony of former Bosasa COO Angelo Agrizzi, at the commission of inquiry into state capture sitting in Parktown, Johannesburg, where he implicated the party in allegedly receiving bribes. Agrizzi told the Commission that Bosasa made a payment to the ANC in the North West, for electioneering purposes. He says the money was requested by an MEC in the province, and was laundered through youth centres to process the payment. This entry was posted on 18 Jan 2019,10:10PM at 10:10 PM and is filed under Politics, Homepage Featured Story Slider. You can follow any responses to this entry through the RSS 2.0 feed. Both comments and pings are currently closed.